this is my Nutanix CE Home Lab, running in VMware ESXi 6.0. Dell PowerEdge R610, 2 x Intel Xeon 6 Cores each, 192 GB RAM, 8 NIC 1 GB and 1 TB local SSD. Homelab looks really good leoleonhardt - Do you have anything new planned for 2018? 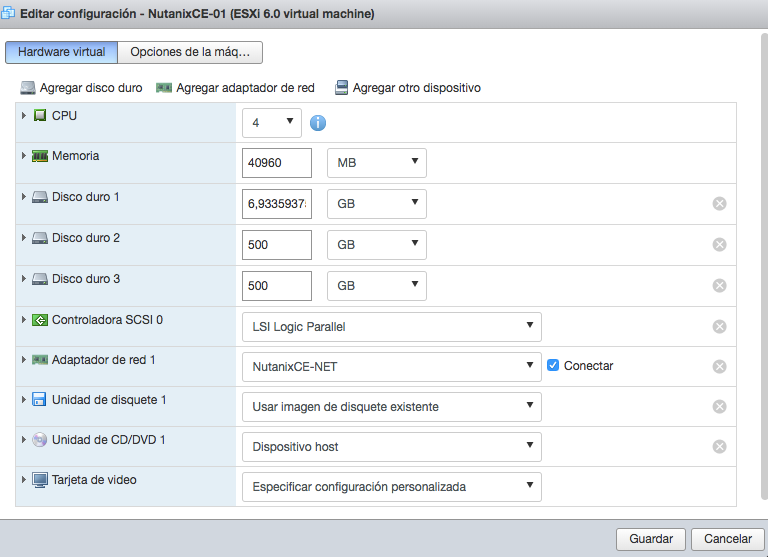 Upgrade my Nutanix CE to last version becouse i'am working in a new course for Udemy, based in AHV, i hope to finish the slides soon for start to record the videos/edition and make it public in 2018. I want to do this all embedded with ESXi hypervisor. Anyone have an idea how to accomplish this?